Where to eat in Rome without being fooled? 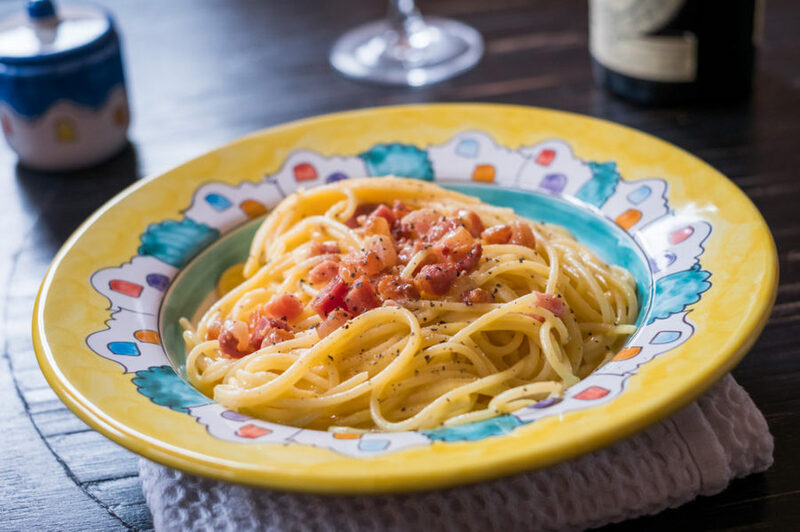 Where to taste the best traditional roman dishes in Rome (carbonara, pasta cacio e pepe, amatriciana, etc)? What are the best restaurants in Rome? Can you really eat well in one of the restaurants in Rome city centre? These are some of the most common questions of those who travel to Rome, love good food and want to avoid the classic tourist traps that, in such famous cities, are usual. There are plenty of listicle articles on the best restaurants in Rome, but let’s be honest: nothing can beat the advice of a local, who loves to eat well and who knows the city. 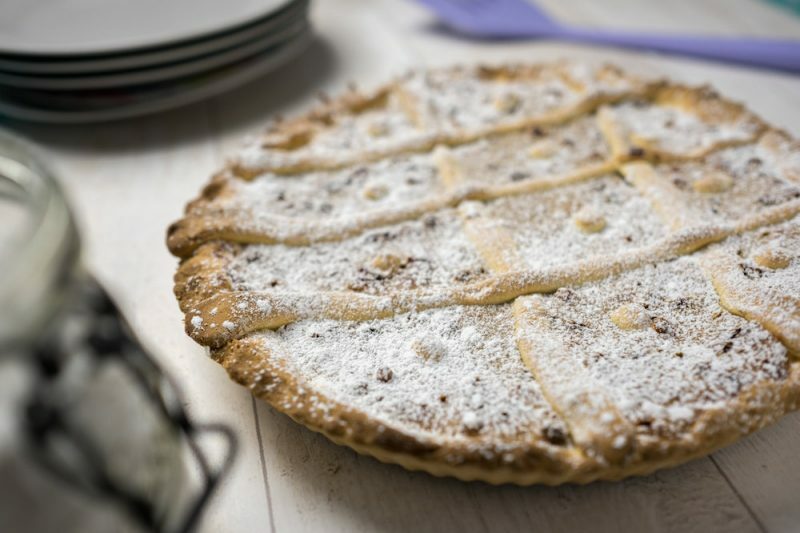 For this reason in this guide on where to eat in Rome you will find advice on trattorias and the best restaurants in Rome, pizzerias, pastry shops, ice cream parlors, street food, markets in Rome and much more. 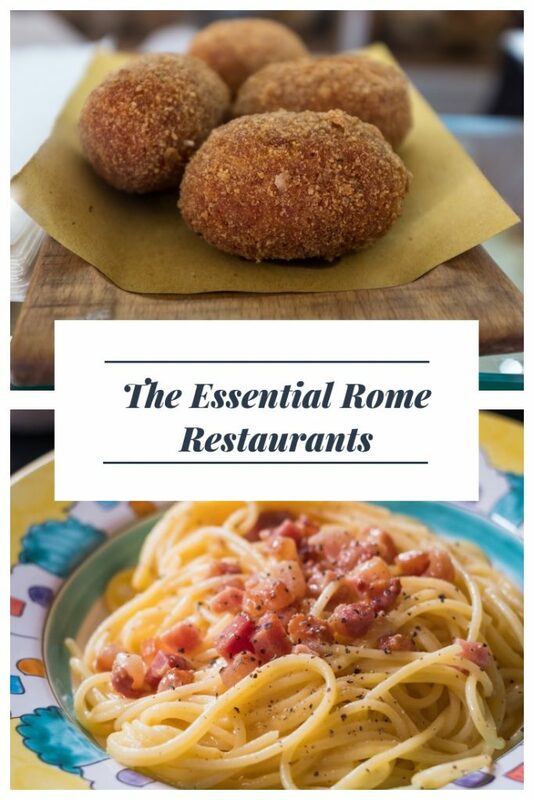 The list is quite long and divided into sections, just to facilitate reading and none of the restaurants and places included in this guide on Rome has requested to be here or has received a special treatment, if not related to my personal taste. Disclaimer: the taste on food is personal and this list is not designed to highlight the cheaper places or those with the best quality/price ratio but simply those that I recommend to all those who, visiting Rome, look for good places to stop to eat or have a snack just like locals. Time to skip the tourist traps and follow your Rome expert! An institution of the Roman culinary scene: it is difficult to find a place but the location is incredible, a real delicatessen where to eat typical dishes, strictly cooked in the old way. Try the carbonara and do not forget to taste the bread. Check the website. Another institution of the Roman culinary scene, famous for its tonnarelli cacio e pepe. Reservation recommended. Check the website. Another very famous restaurant, loved by locals and tourists. The location inside an old butchery makes it fascinating and unique. Try the tiramisù in a jar. Check the website. Known for its traditional and handmade pasta, Flavio is a reference point for those who want to eat well and a lot. Try the pasta alla gricia, one of the best in Rome (if not the best). Check the website. Pasta is served in very large portions and directly inside the cooking pan or inside old-style bowls. make sure you try the carbonara, the cacio e pepe and the abbacchio alla romana. Check the website. For those looking for a few frills and good good food, this is the perfect trattoria. Large portions, honest prices, and a wide choice: the dishes are prepared at the moment and once they run out of ingredients the dish is not prepared anymore (this can happen anytime, and for this reason is better to arrive earlier at dinner). Checkered tablecloths, a local and simple atmosphere, hearty and home cooked dishes. The low prices and the location far from the tourist circuits make it one of the real gems of Rome. The name of Roscioli returns again, this time for its breads and pizzas. Try the one with mortadella, typical of Rome. In the evening you can have an aperitivo. Check the website. A institution in Campo de ‘Fiori, right opposite the statue of Giordano Bruno, where pizza with mortadella are the master. Check the website. In the heart of Trastevere, pizza (almost) alla romana, with typical Roman ingredients (cheese and pepper for example). Try the fried treats, a true pride of the house. Check the website. (Almost) Neapolitan pizza leavened for a long time and tasty. Open only for dinner, crowded by locals and out of reach for tourists. A must for those looking for good and highly digestible dough. Check the website. The name of Gabriele Bonci now bounces everywhere in Italy and his fame precedes his pizza. Leavened many hours, porous, stuffed in an excellent way and with unique toppings. Here you can only eat standing while at the Via Trionfale headquarter you can sit down and also eat other things, including long-leavened bread. Check the website. If you associate Food Street with poor quality products and poor hygiene, I’m here to make you change your mind. With the rebirth of the concept of street food, today in Rome there are quality products, delicious and that really leave you speechless. Here are my choices, considering that this is one of the most evolving industries in absolute. The pizza cut squared and folded by Trapizzino for me is a must and it’s hard to be beaten. It is no coincidence that Stefano Callegari has also arrived in New York and with his trapizzini is giving a hard time even to the purists of pizza. Check the website. A supplì is, just to simplify, a ball of rice fried, typical from Rome. 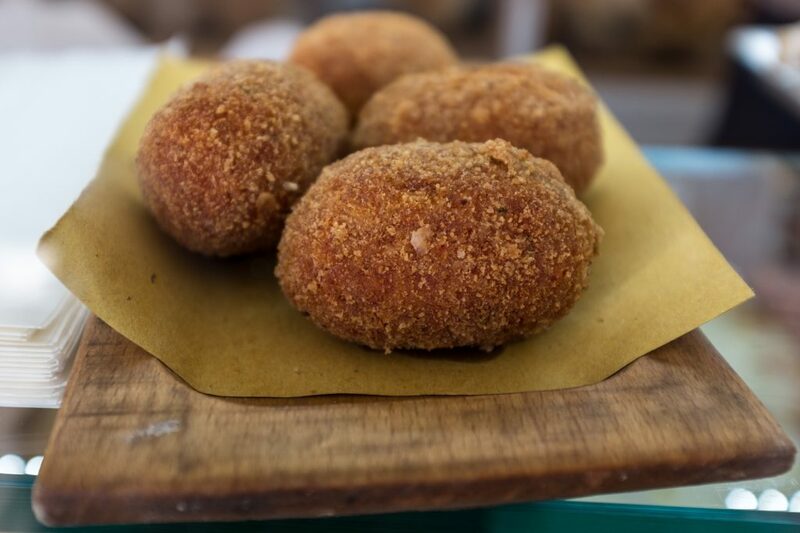 Imagine a supplì and imagine it even better and gourmet: the purpose of Supplizio is precisely to rediscover this street food of the Roman tradition by revisiting it. There is no shortage of traditional supplì. The prices are higher than average compared to other supplì, but it’s worth it. Check the website. A place where you can only eat fried cod fillets (filetti di baccalà), a Roman street food par excellence. Near Campo De ‘Fiori, it is a historic place but not always open so it can be difficult to have the opportunity to taste a fillet. If you find it open, it is worth getting in line. 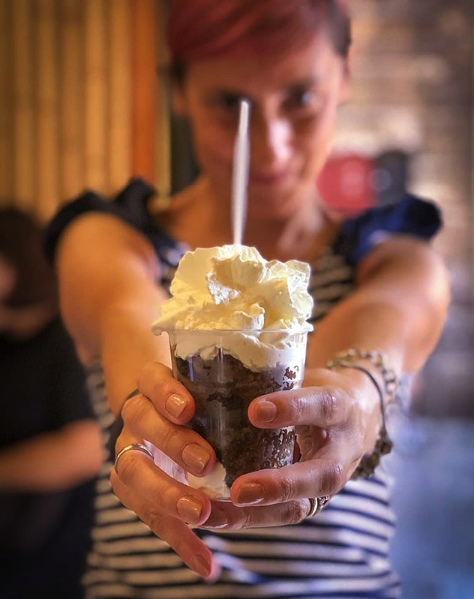 The best coffee granita in Rome, overlooking the Pantheon. Unmissable. You need to make our way through the tourists, but it’s worth it. Check the website. On one of the sides of the Termini station, Trombetta is a historic café that is an institution and that in the morning also churns out soft and rich croissants. Check the website. In the city center, a tiny café where a sip of the famous black drink is really a pleasure. One detangles itself among tourists, but it’s worth it. Check the website. A bar that is also and above all ice cream parlor, Fassi is a historical name in the area of Piazza Vittorio. The whipped cream is exceptional, the sampietrini are unmissable. Today the location is not the best but Fassi is still a cult. Check the website. Historic pastry shop in the center of Rome, renowned for its biscuits and fried sweets. Not to miss: castagnole, frappe and bignè di San Giuseppe, if you’re in Rome during the Carnival period and around 19 March. Check the website. A maritozzo is a sweet bun filled with whipped cream, to keep the definition simple. The Maritozzaro is the only possible choice in Rome: a soft cloud of cream enclosed in a brioche. Unmissable. In the middle of the Jewish quarter, Boccione tells the story of Rome and its food and wine culture. Make sure to taste the ricotta and the sour cherries tarts. An old bakery that produces traditional Roman products to take away or eat on site. Prices are low and you can even stop and eat lunch. The ricotta and sour cherry tart is special. Check the website. Another bakery in the Ghetto of Rome, famous for its bread. Nothing luxurious or trendy, just good fresh baked bread every day and sold until sold out. The traditional red Roman pizza (pizza rossa) is really dizzying. The following restaurants are, as far as I’m concerned, some of the best in Rome if you are looking for gourmet places. Some have been awarded the Michelin Star. This means that prices are not low but the quality is very high, without forgetting the attention to the raw materials used and customer service. Booking always recommended. The menus change according to the season, which is why I leave you only the address without review. A place suitable for those who want to enjoy the aperitivo time without being hassled by too many people and being obliged to eat bad food. A special cocktail area, an incredible wine list and the possibility to eat dishes paired with wines and cocktails. High prices. An unusual place for an aperitif but the result, from Panella, is assured. 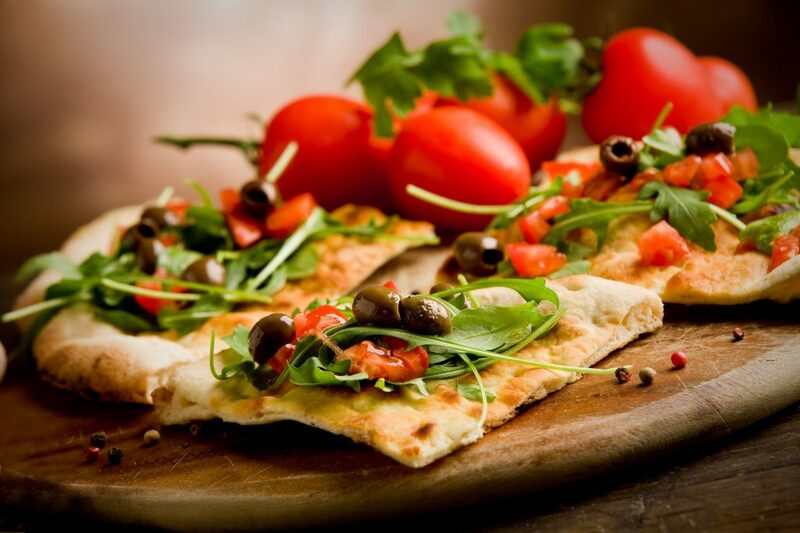 A lot of delicious saucers, many of which are based on bread and pizza, served with various wines and liqueurs. Busy aperitif but good prices and good quality. Check the website. A small room, furnished in an original way where you can drink and even eat. The aperitif time can be chaotic but the list of food and drinks is definitely worth the wait. Prices are quite high. Check the website. Historic venue for aperitifs at the entrance to Trastevere, Freni e Frizioni is appreciated by a young clientele and offers cocktails, wines and aperitifs of various kinds accompanied by buffet food. The particularity of Freni e Frictions is the external space that, when the weather is good, fills up completely. Check the website. A visit to Rome must include three perfect places for foodies. Two traditional food markets and a new and innovative one. Eataly is a known name and the Rome location, in the Ostiense area, is no exception. In addition to the the same offer you can find pretty much everywhere in Italy and in the World, a big space is dedicated to local cuisine. Prices are not low, as in all Eataly in Italy and in the world. Check the website. An interesting concept is that of the Mercato Centrale that offers the possibility to taste different cuisines thanks to the presence of local food artisans. The prices are not low but the location inside the Termini Station and the culinary offer make it one of the places to try, whether you are local or just passing through. Do not miss the Trapizzino by Stefano Callegari, triangles of white pizza stuffed (see above) and the ice cream by Luca Veralli, delicious and all natural. Check the website. An institution among the food markets of Rome, where food is not only excellent but also economically accessible. Frequented almost exclusively by the locals, it offers the possibility to eat at really popular prices and choose one of the many available stalls. I recommend Mordi e Fuggi with its Roman products (above all the “panino con la trippa”, sandwich with tripe) and FoodBox where you can taste unique and very original supplì. Check the website. One last recommendation: generally speaking, lunch is served from 12:30 until 3 p.m. and dinner from 7:30 until 11 p.m. You’ll definitely want to decide where to eat in advance so to avoid ending up in bad places. 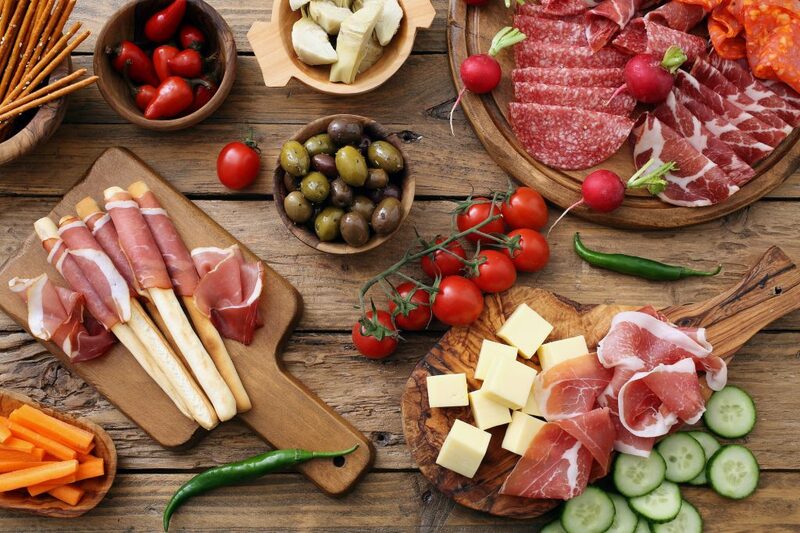 Once you’ve decided where to eat, consider booking at least a few days in advance and, if possible, a few weeks in advance in popular spot such as Salumeria Roscioli.